If you want to change the size of the quilt you can either make the borders bigger or change the size squares you start with. To start, you are going to make Eight 9-Patch blocks. 4 of the first color layout and 4 of the second color layout. Now cut across the center of the block left to right, and then without moving the block, cut across the center of the block from top to bottom. Repeat for all 8 blocks. 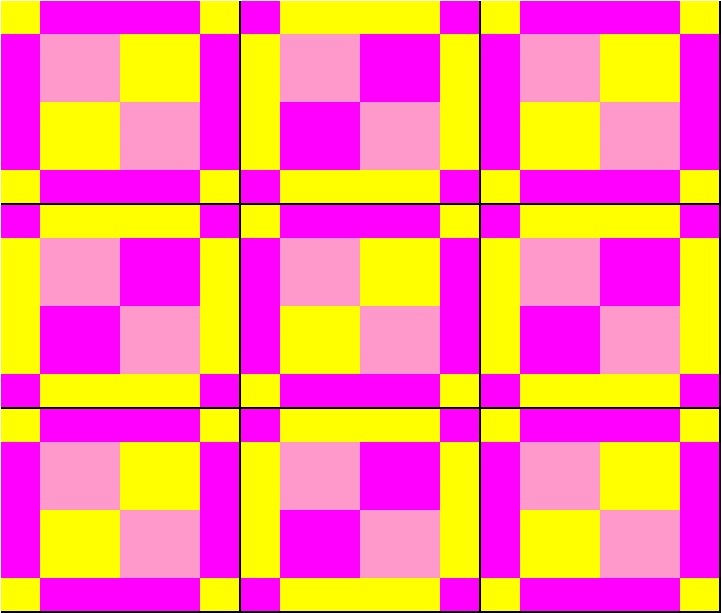 Now rotate the 4 newly cut squares 180 degrees to get the following layout. Sew the 4 squares together. Repeat for all 8 blocks. Now lay out your 8 blocks as follows. Sew the blocks into rows and then your rows into the quilt top. Add your border, sewing on the long sides first. Then add your short sides borders. And then your done and you have one adorable crib quilt!!!! To start, you are going to make Nine 9-Patch blocks. 5 of the first color layout and 4 of the second color layout. Now cut across the center of the block left to right, and then without moving the block, cut across the center of the block from top to bottom. Repeat for all 9 blocks. Now rotate the 4 newly cut squares 180 degrees to get the following layout. 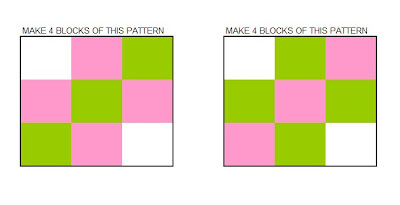 Sew the 4 squares together. Repeat for all 9 blocks. Now lay out your 9 blocks as follows. Sew the blocks into rows and then your rows into the quilt top. I want to do this one! I have been having a lot of fun with the disappearing 9 patch! It can come together in so many different ways! I have a pattern for this using jelly rolls, and I can't wait to do it in 30's replicas!! The one in my book uses red and white where your pink and yellow are!! but it only has one of the 'thin' strips between each larger square! I love how simple this difficult look is! Thanks for sharing!! Very cool! I love the disappearing 9 patch!! So versitile! Great way to make this very cute quilt! Wonderful tutorial - it really turned out so cute! I love the D9P for quick, cute quilts. I just finished one with a different layout that looks like sashing and cornerstones. It is pictured on my blog. That is so snazzy! I like making 9-patch blocks much more than I like sashing. Thanks!! Those quilts are adorable!! Quick question tough...according to the pics wouldn't you actually rotate all 4 cut pieces?? 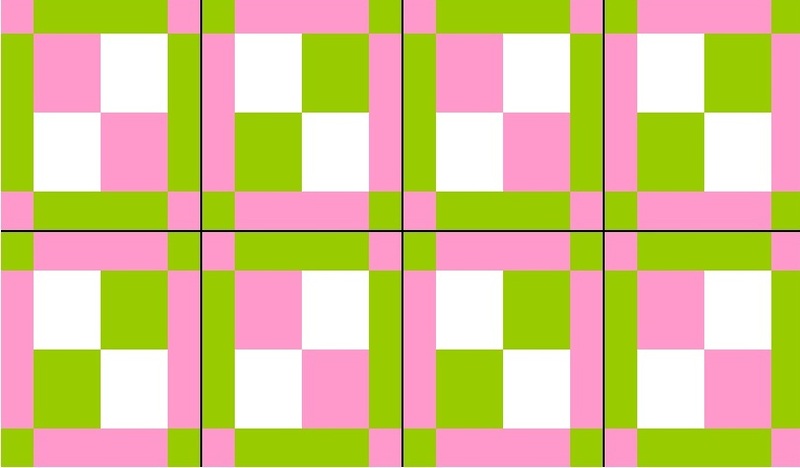 It looks like the center square (cut into 4 small squares) ends up with he small pieces all on the corners. Or maybe I am missing something?? This is great! Love it... I am a D9P fan and I hate sashing so this is perfect. Love this quilt so much! Thank you sooo much for this tutorial!!! This is the very first quilt I have ever attempted to make, and I am so excited to get it completed. I can't wait to show it, off at church. Thanks for posting, I am teaching a disappearing 9 patch table topper at a quilters class at the public library. This will just show the ladies another variation to the disappearing 9 patch. Love it. My favorite go-to pattern for a quick quilt. Very cute. thank you very much. I have only been quilting for 6 mo. and decided to make a baby quilt. This goes along so fast and easy. I just finished a baby boy quilt with the disappearing 9 patch all flannel different patterns it turned out awesome. 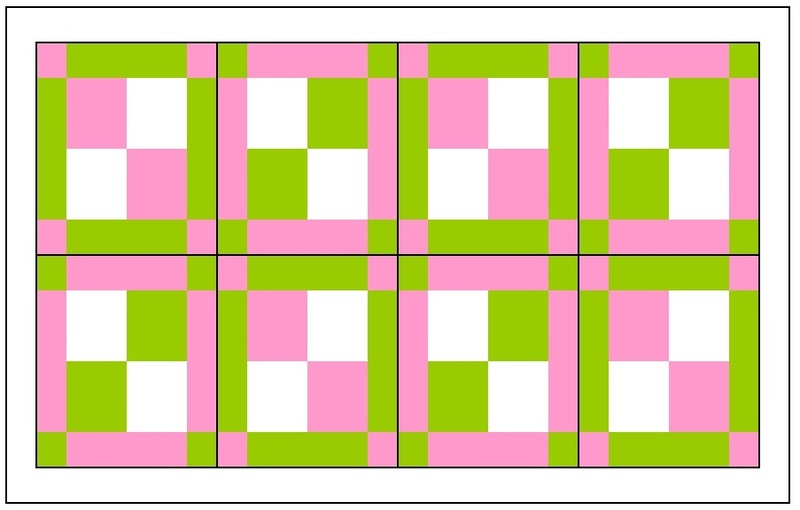 For the baby quilt, wouldn't you need 9 blocks? That's what the picture shows, but the directions say 8. I'm going to be a grandma for the first time soon and want to continue my mom's tradition of making a baby quilt for each grandchild. She even had one for her first great grandchild. 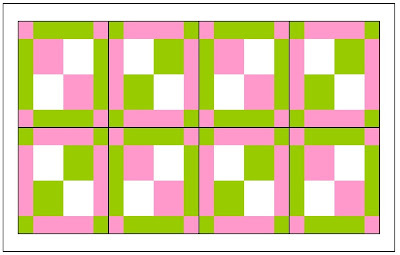 Anyway, searching for a pretty, easy design as this will be my first attempt at making a quilt.